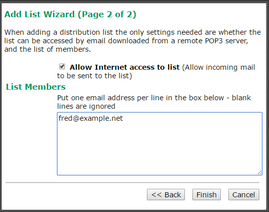 A Distribution List is a simple list, so there are not many options for this type of list. If you require more options, or more functionality, then consider using a Mailing List instead. A Mailing List can do all that a Distribution List can do, and more. 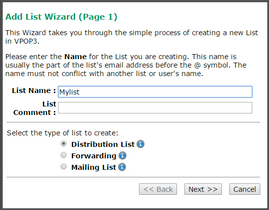 To create a Distribution List, go to Lists on the tool bar and press the New button. Enter the list name in the List Name box. This is usually the part of the email address before the @ symbol that you will use to send a message to the list members. 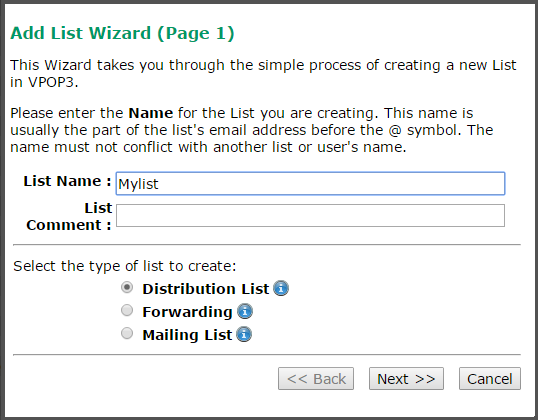 Select Distribution List as the list type to create. Press Next. 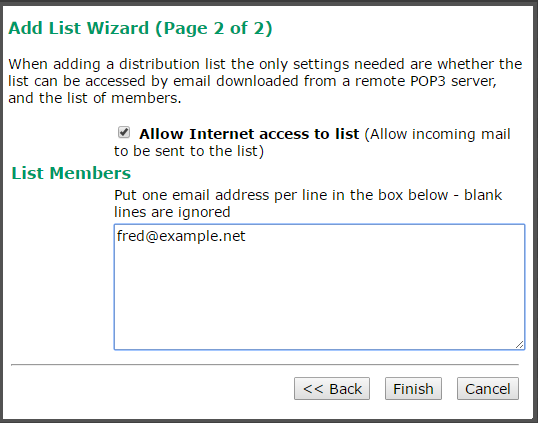 Check the Allow Internet access to list box if you want to allow external users to send messages to the list, or leave it cleared if you only want internal VPOP3 users to be able to send to the list. In the List Members box enter the email addresses of the initial members. Press Finish. All the list settings can be changed after creation.